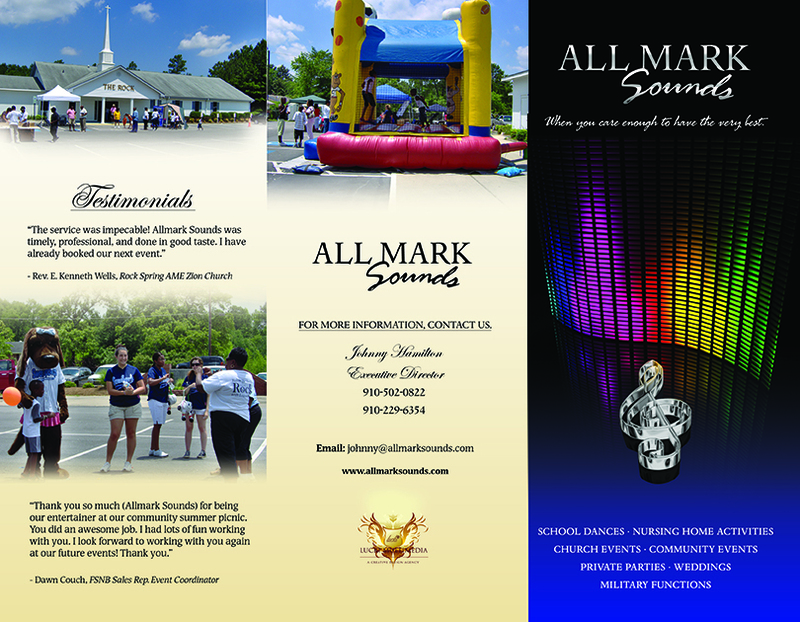 Need a brochure to help market and promote your business and/or services? 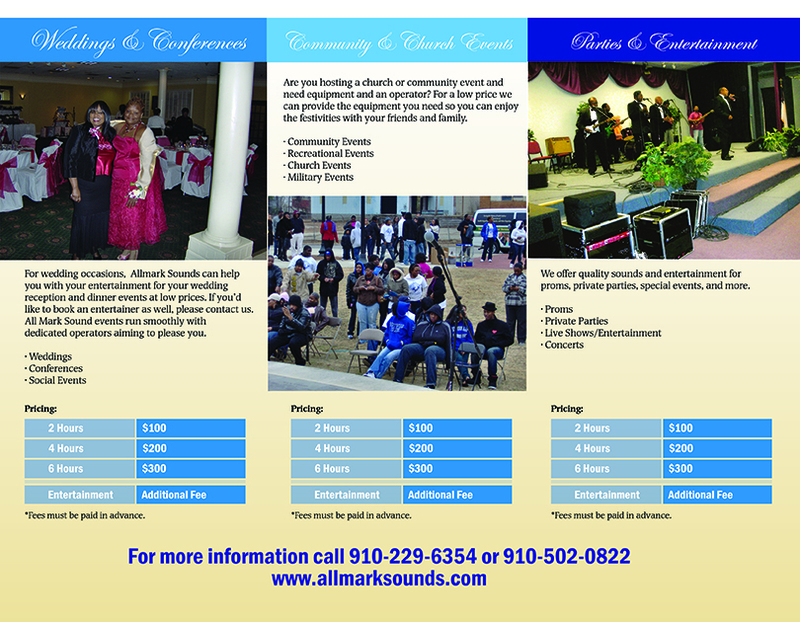 Let Lucki Media design a professional brochure for you. All we need is content, a logo if you already have one, and images if you would like to provide your own or we can provide photography services for you. Just call and inquire 910-502-0822 or 253-433-7962.